As we approach the annual clinic at my farm, Market Street in Frenchtown, NJ, I thought it was important to re-share the article below about the benefits of a clinic vs. regular lessons. I especially enjoy this particular clinic here at my home because I can share my teaching, and how our horses are cared for at Market Street. I am proud of my team and happy to show the standard we maintain. As you will read below, the benefits of clinics are many and I hope you can join us to either ride or audit. This year's clinic will be November 18-20. Many of my sponsors will be there with great product information and giveaways. Rider spaces are available. Auditors are welcome and do not need to pre-register. For more information and the registration form click here. Both clinics and lessons are extremely beneficial to a horse and rider's education, but they are different in several ways. A clinic is typically 2 or 3 days of full of education with a group of riders, and a lesson can be private with just 1 student or sometimes 2-3 students. 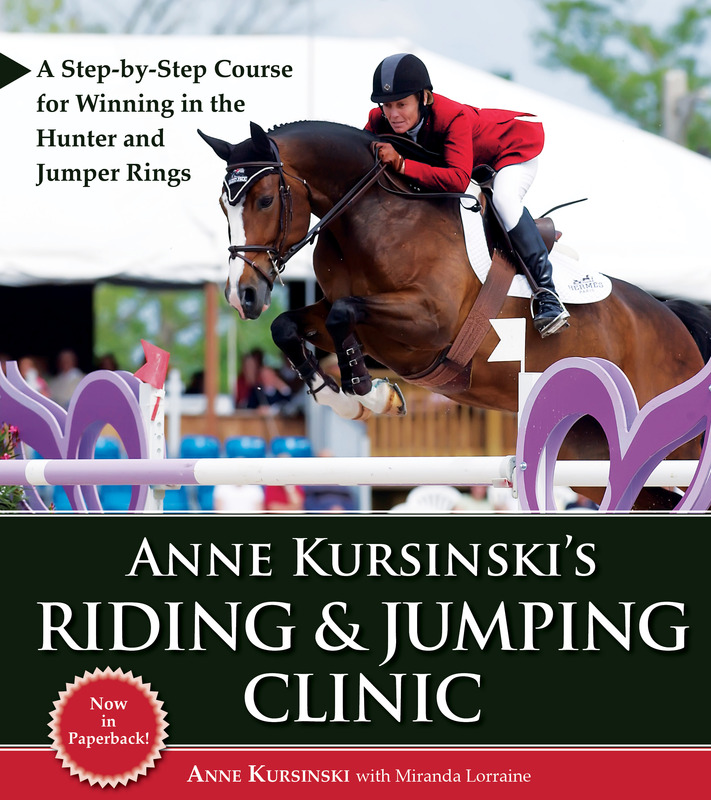 In a clinic, you not only get your lessons, but you get all of the other riders' lessons as well. In a clinic, you will be presented with different exercises or questions. Some may be new and some may not be. You may be super at one exercise, but not at another. You can watch other horses and riders, some more experienced than you and some greener than you, perform the same exercises. Another great benefit of a clinic is the opportunity to watch how the clinician works with various types of riders and horses. Sometimes the knowledge can be applied immediately or it will come in handy in the future. For instance, you get a new horse or move up a division. You will constantly be learning by watching everyone. These visual examples are priceless. Over the course of a 2 or 3 day clinic you will understand the clinician's philosophy and style. I like to watch my students learn and improve from day to day as they grasp my exercises and put them into practice. I have a set progression of exercises and questions I ask from one day to the next. 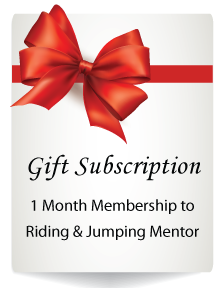 I push the horses and riders to have new experiences to help them learn, feel and grow. We work through any difficulties which teaches riders how to correct problems and handle adversity. Sometimes a horse or rider may not totally understand an exercise in a clinic. There is only so much time and there are some time constraints with the schedule. 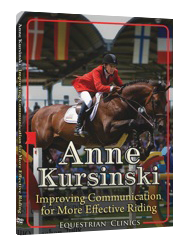 I would urge the rider to take those exercises home as homework to repeat and take the time needed to fully grasp the exercise. By giving the riders answers and tools, they gain confidence. Through repetition, these new techniques start to become second nature. Ideally, the repetition of these new techniques will be continued at home in lessons. 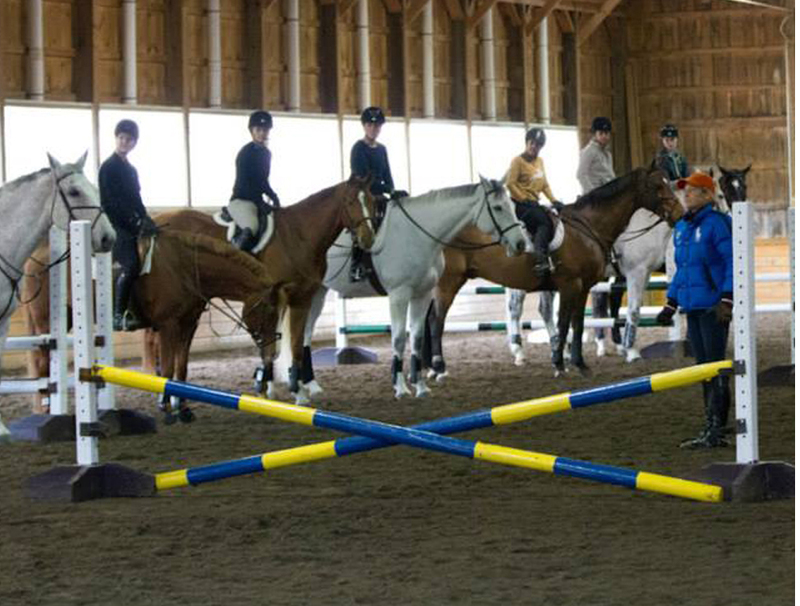 Many exercises I use at my clinics are introductions to the next level of riding for the group. Like teaching the 'automatic release' to a more novice group. They most likely will not master it in the clinic. But I explain to the riders that it is the feeling and balance they should be working towards. They can watch the advanced group and see how effortlessly these experienced riders use the 'automatic release'. Clinics for trainers and teachers are wonderful to get inspiration for their teaching. Often you find new ways or words to teach what you've been teaching. It can be refreshing. You may find a totally new way to solve a problem. Of course, if you have students riding in the clinic, you can get another viewpoint on your riders' or horses' strengths and weaknesses. A clinic can be challenging for some, because there is an audience. You are out there being an example, what to do or not to do. But so is everyone else. Along with the spectators and PA system comes a show like feeling. This to me is excellent preparation for showing. I believe one should train like they compete and compete like they train. A clinic is the ideal situation for that. Riders will experience and deal with nerves and focus in a competition like situation. During a clinic, there is lots of educational information being given in a short period of time. 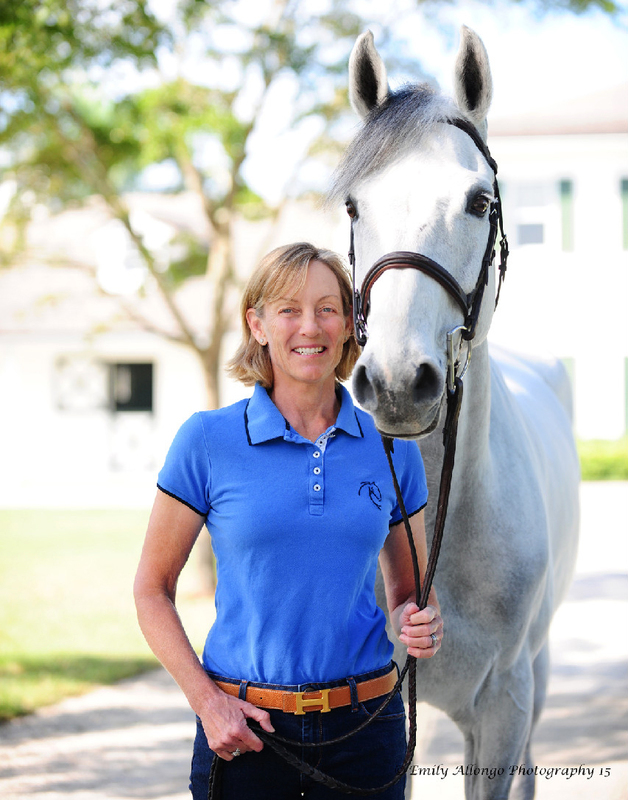 The riders and auditors need to be as open minded as possible to get the most out of it. Asking questions and taking notes is helpful. After the clinic, the riders and their trainers can put this new information into their lessons at home. The exercises can be ridden over and over at home until they are understood and perfected. Clinics can also be great markers for improvement. 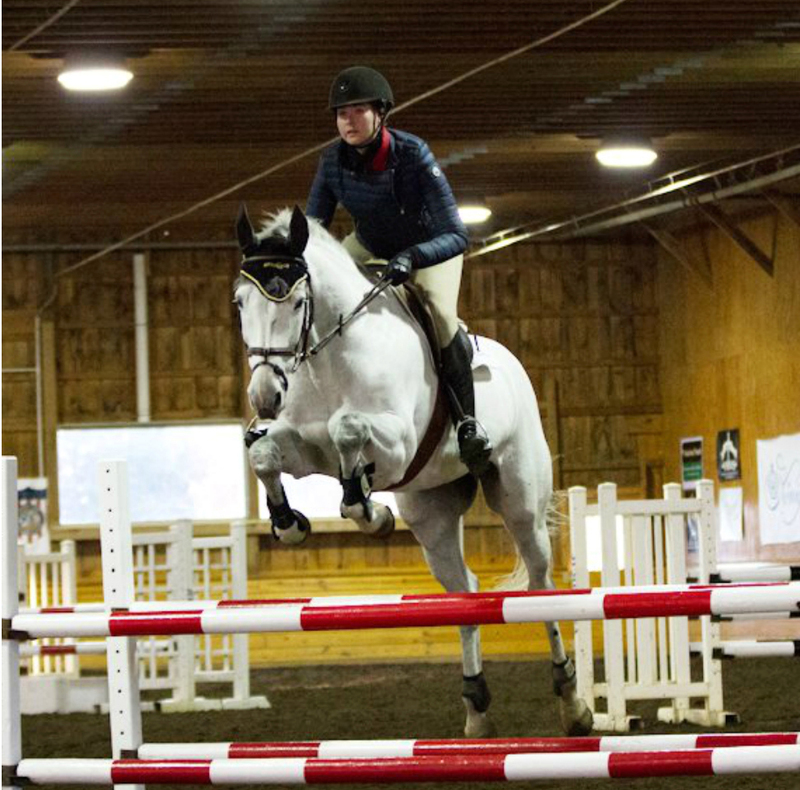 I enjoy seeing riders and horses return annually at clinics and seeing how they've improved. Over the years, it is very rewarding to really observe this. For many riders this can be a goal to work for or a marker. They can feel and see the progress they and their horses have made over a few years and clinics. It is a remarkably gratifying feeling!